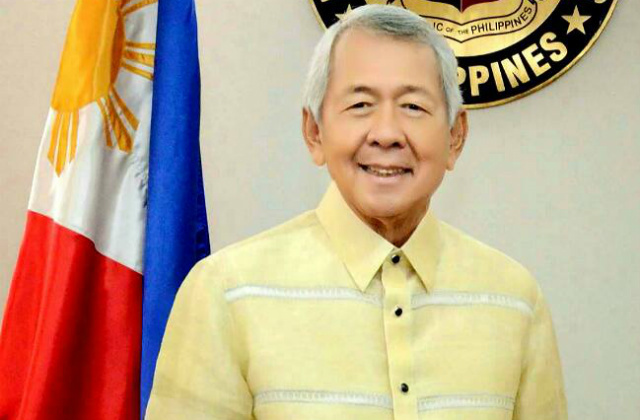 Thinking Pinoy: #CHExit: DFA's Perfecto Yasay says "There are many ways to skin a cat"
#CHExit: DFA's Perfecto Yasay says "There are many ways to skin a cat"
This is the complete statement of Department of Foreign Affairs (DFA) Secretary Perfect Yasay regarding former Philippine Ambassador to the US Jose Cuisia's statement on Yasay's performance at the ASEAN ministerial meeting. ThinkingPinoy decided to republish this statement because Big Media ignored it entirely. From day one since my designation as SFA was announced and even before I assumed my official duties, my critics that include Ambassador Jose L. Cuisia wasted no time to question my competence and ability in dealing with the responsibilities of the DFA and the vital issues that it must address including the the West Philippine Sea dispute. Recently, Amb. Cuisia, who had just ended his assignment as our top envoy to the U.S,. renewed his personal attacks on me, claiming that I was weak and did not fight strong enough in obtaining a unanimous ASEAN statement in support of the arbitral tribunal ruling. And yet, the truth is that the joint communique and united statement that was vigorously sought by my predecessors to no avail, was finally obtained with much difficulty and disappointment after long and numerous diplomatic engagements that were oftentimes acerbic and heated.Yes, we succeeded during the 49th ASEAN Ministerial Meeting (AMM) in Vientiane, Laos that was concluded last week and which marked my maiden appearance before the important regional group. The statement and joint communique that was delicately and laboriously crafted and issued - predicated upon ASEAN's centrality and solidarity in dealing with issues affecting common interests, peace and stability in the region - did not in any way, manner or form weaken the legal foundations of our claim and the award to the Philippines of its maritime entitlements as part of our EEZ by the arbitral tribunal. On the contrary, the statement and joint communique was a resounding diplomatic triumph for the Philippines because of the firmness and flexibility that we displayed at the AMM, which won the respect, acknowledgement, and admiration by all foreign ministers present. This enabled ASEAN to join our traditional partners, ally, and the international community in urging China to desist from its reclamation activities in the disputed area and to uphold international law and the processes and mechanisms under the 1982 UNCLOS, including compulsory arbitration and all legal and diplomatic processes in peaceably resolving the dispute. The core message implicitly but undeniably conveyed by this ASEAN statement and joint communique called for all parties to respect the ruling of the arbitral tribunal without using the hard line language demanded by my predecessors. Indeed, there are many ways to skin a cat.